Ironically, losing my eyesight has brought a new perception – I see the geometry of painting more clearly than ever before. In the past, it may have been instinctual, but now I’m conscious of it in a way I never was. There is a Matisse (a magazine reproduction) on the door behind my easel and I looked at it recently and all of a sudden it became clear to me – I saw the fundamental geometry of the picture. I see the movement from the upper left corner to the bottom right. When you get close it just looks like he’s just thrown the color there, but when you step back, you see the careful structure. It’s really due to my loss of eyesight. I’m seeing the dynamics of a painting in a new way – everything extraneous is falling away. 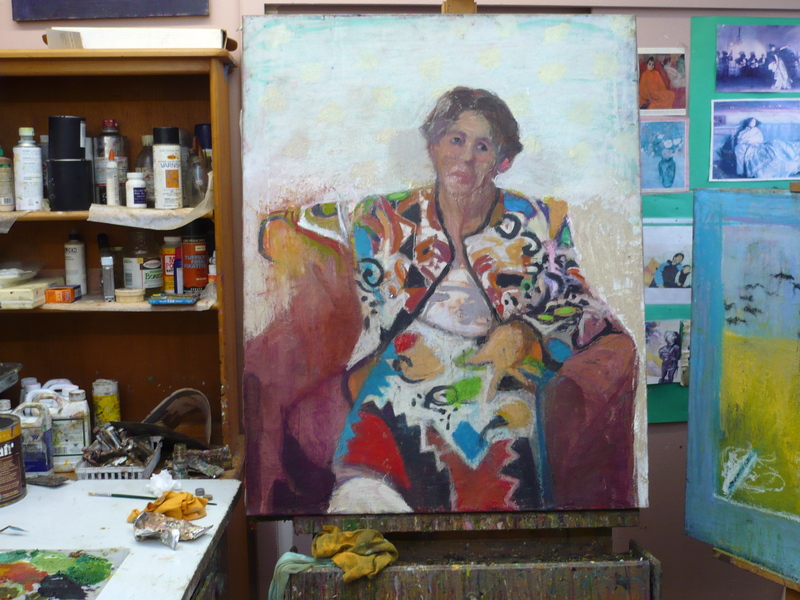 Now I’m going about my painting more directly, more in terms of structure. With better vision, I think you see the surface more and not what’s underneath. Now I see all the work below the surface in all the painters I love. I see them better, deeper. Now I know how to find the pivot point in my own painting and that makes me feel more self-confident, more courageous – more everything. 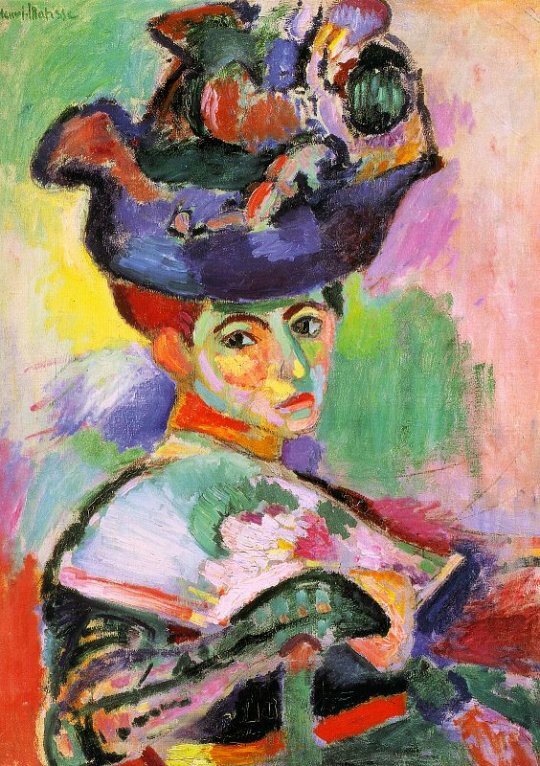 That’s made me happier in my work and I saw it first in that Matisse, that woman in a hat. Beautiful. Beautiful art, beautiful statement. Galya Beethoven tarmu. Anyway, I woke a 3:30. Couldn’t sleep. Was on the road by 4. Had a leisurely drive. Stopped for coffee and food. Gt to Allison around 10. Saw some condos but no luck so far. Rentals are horrible. Now I’m resting the rest of the day. Just taking it easy in my room. Next door there is BBQ for dinner. Will Skype you tomorrow. To Paris, and Carlotta with love. THANK YOU!